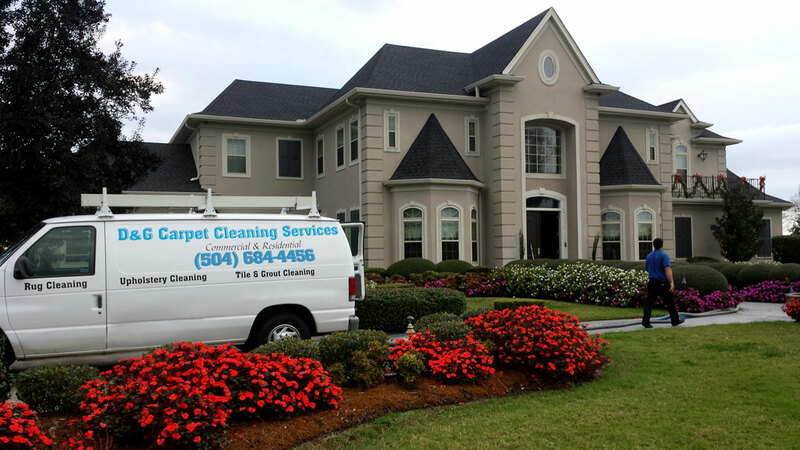 New Orleans Carpet Cleaning is a company based on the belief that our customers’ needs are of the utmost importance. We are committed to meeting those needs. A high percentage of our business is from repeat customers and referrals. That’s why we are always ready and do our best to earn your trust and deliver you the highest quality service in the industry. Our goal is high quality work with very fair and affordable prices. Our team members are all experienced professional friendly technicians. Our solutions are all safe for the environment, humans and pets. We never sacrifice the quality of our work just to save a few minutes. We have a large base happy customers. You have the flexibility to make an appointment whenever you want, including in the weekend. We are reliable, trustworthy and results-oriented company. Need carpet, rug, upholstery or tile & grout cleaning done? With you in mind New Orleans Carpet Cleaning has chosen our range of professional cleaners. Our team of fully qualified experts has many years of experience and is waiting to meet your requests. Efficiently, quickly and with the highest level of commitment. Whatsoever your requirements, we can get the job done quick and with minimum fuzz or inconvenience. Just ask our representative for consultation and let us demonstrate our commitment to your satisfaction. We promise that we will keep the highest level of customer satisfaction. All of our work is carried out to assured standards and we will complete your cleaning needs leaving you with amazing results. So please get in touch with us via any of our contact methods. Our friendly team is waiting to hear from you and to answer any specific questions you may have about our company or our fast response and quality cleaning services. Looking for high quality cleaning services for your home or office? It's Our 30-day, 100% Clean Guarantee. As loyal carpet cleaners we seek to develop long-term relationships with our customers in New Orleans. We strive to make every customer happy. We guarantee to clean your carpets or upholstery to your complete satisfaction, or we will return and re-clean at no cost. It's our 30-day, 100% clean guarantee.